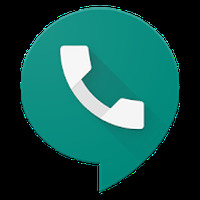 Google Voice Android - Free Download Google Voice App - Google Inc.
"Google Voice: screen calls and even get visual voicemail!" We are working on the description of Google Voice developed by Google Inc. Installation requirements: A minimum of 12.54 MB of free memory space and Android 2.3.3 or higher. Rating: The TOP 1 Most popular Apps in Google Voice category. Ranking: The TOP 1 Most downloaded applications in Google Voice category. Do you like Google Voice?